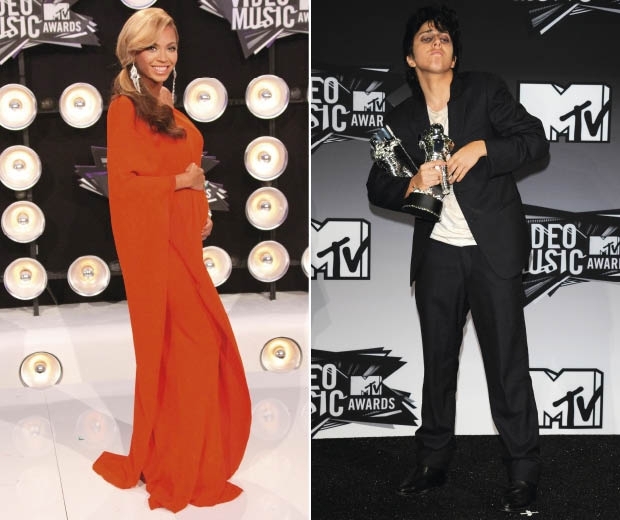 THE FASHION JURY: Mtv Video Music Awards '11, we got some news!! Katy Perry looked super girly in a geisha-style mini dress and heels by Atelier Versace, insted Jessie J has some problems with her legs and shows us a fantastic brace leg coordinating with the corset, shoes and thights! Beyoncé shows off her baby bump; Gaga goes manly... she's always the best! !